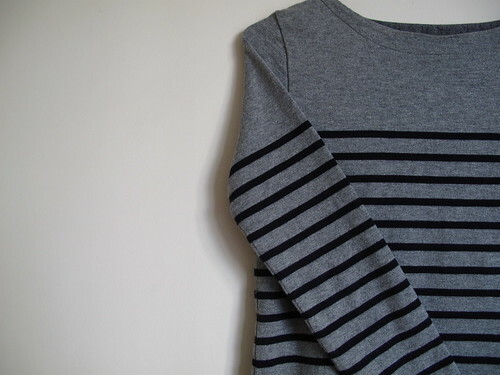 I’ve bought snacks, stationery and paper goods from Muji but never clothing, mostly because I think they are rather over-priced at times and too organic for my taste while the design, despite keeping to a consistent wardrobe classic theme, doesn’t jump at me. 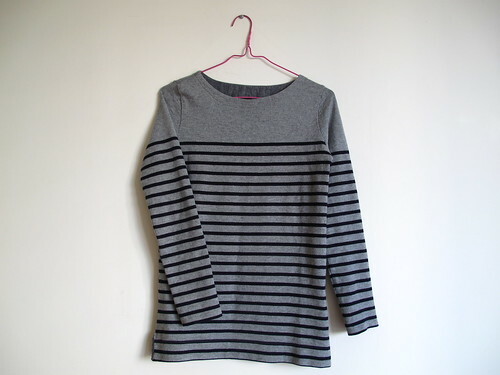 Imagine my delight when I chanced upon this reasonably-priced cotton Breton sweater with off-shoulder stripes in a great color. Exactly what I’d been looking for (sans shoulder buttons though I shan’t be too picky) ! It fits better than it looks here, all loose and pyjamasy. 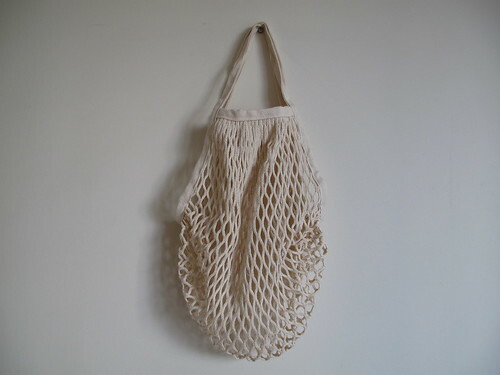 I also scored a lovely mesh bag that is meant for miscellaneous household knick-knacks but I think I have other uses for it. 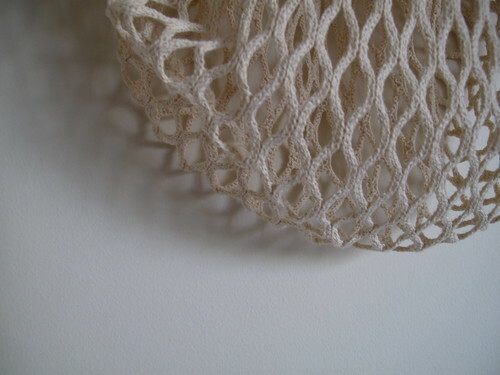 Hi, I like this net bag so much! Do you know where can I find it now ? Thanks very much!! maggs – 可能试试到Muji找找看，国内国外都行。机率或许不高因为这是09年的产品。Good luck !